Oolong teas are partially fermented teas of the “Camellia Sinensis” species, withered in the sun, partially fermented, and either in form of leaves or curled / rolled into small balls. The degree of fermentation varies between 8% and 85%. Oolong teas are characterized by a large aromatic variety, ranging from a sweet and fruity honey aroma to a green / fresh bouquet flavor, depending on the species, cultivation and processing method. The origin of Oolong teas is China (here: Fujian province, Wuji Mountains). From there, the cultivation of oolong teas spread further across South Asia: Japan, Taiwan, Korea (Guangdong), and more recently Northern Thailand. 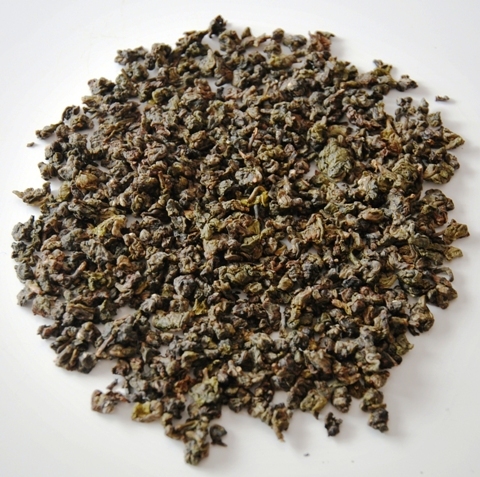 The name Oolong originates in Chinese language: “O-Liong”, or “Qingcha”. Oolong tea is particularly popular because of its low caffeine content and its health benefits: Control of obesity, cholesterol-lowering effects, strengthens skin and bone structure and teeth, antioxidant properties (eliminates free radicals, cancer prevention), effective in the treatment of chronic diseases such as heart, skin and inflammatory disorders and diabetes. The tea plants for cultivation in Thailand were originally imported from Taiwan’s Alishan region, world-wide famous for its Formosa Oolong and Green Teas. 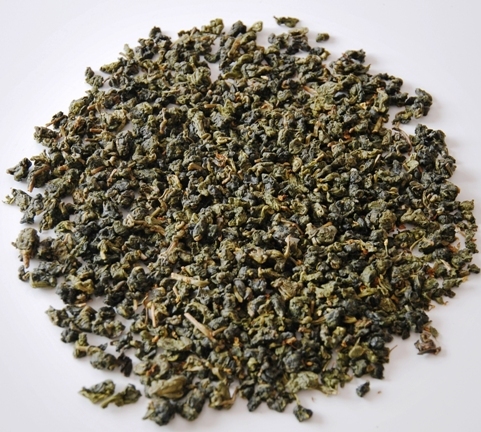 Formosa Oolong tea is actually the name for oolong tea from Taiwan. The Portuguese colonialists gave Taiwan the name “Ilha Formosa” (“Beautiful Island”). The plants originally originate from the following years, and with the active promotional support of Queen Elizabet China’s Wuji Mountain region and were imported to Taiwan in the 1950s. Duringh II, Formosa Oolong tea such as the regional species Formosa Dong Ding Oolong and Formosa Oolong “Oriental Beauty” achieved worldwide recognition.In the 1970s, a range of experimental stations were set up for the development of distinctive Oolong tea hybrids. Oolong teas such as the No.12 (Jin Xuan Oolong) and the No.17 (Bailu Oolong) have since conquered the hearts of tea lovers worldwide. After the rigorous crackdown of the Thai government and military on the opium cultivation and trade in the Thai sector of the the infamous Golden Triangle in the course of the 1980’s, the ethnic Yunnanese population of mountain enclaves in Thailand’s border region with Burma started experimenting with local tea species that were local to the area for hundreds of years or more. 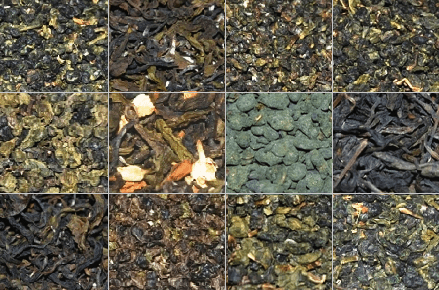 Despite quite respectable results with local Green and Oolong tea, these initially didn’t manage to establish amongst popular world class teas, and moreover offered little potential for a diversification of the local tea portfolio. Hence, from 1994, these producers started importing some fine and popular tea plant species from Taiwan. 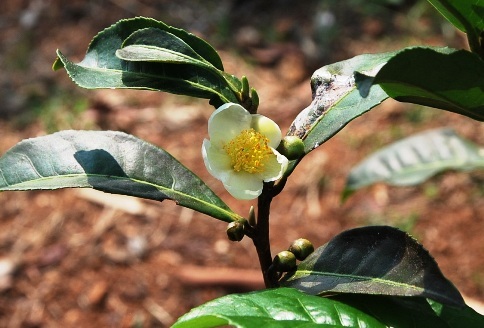 Initially, hybrids such as the Oolong No. 17, the Oolong No. 12, and the Four Seasons Oolong from Taiwans Alishan-Gebirge were moved and grown in regions like Doi Mae Salong or Doi Wawee. To these added shortly after the millenium change a typical tea from the Taiwanese Dong Ding region and an Oriental Beauty Oolong tea. Today, particularly Oolong Teas from North Thailand enjoy the reputation of belonging to the best in the world, and since 2011, an exceptional and overly delicious Black Tea based on the No.12 plant has set out to conquer the hearts of the international tea lover community. The imported tea plants find in the region around Doi Mase Salong, at altitudes between 1200 and 1800 meters and a 3-seasonal change between a rainy, a hot and dry, and a cool season in a 4-month cadence, optimal climate and geologic conditions, which are very similar to those in their region of origin. 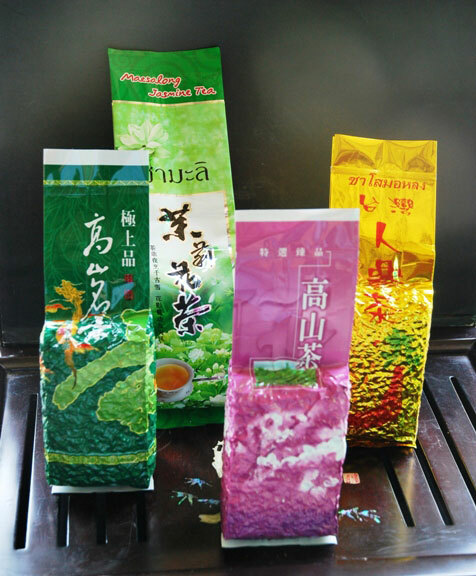 In the nomenclature of these teas, DMS means the cultivation region Doi Mae Salong. Apart from this, the names contain hints at the original species as well as at the charcateristic features of each tea. In the following, I will introduce the typical representatives of the nowadays quite diversified cultivation area Doi Mae Salong in detail. The preparation recommendations provided therein are adjusted to Western standards. However, tea masters practicing the Gong Fu Cha (tea ceremony), the ritual, classic-traditional Chinese way of tea preparation, where very short infusion periods are used in order to exhibit every nuance of a tea’s aroma and taste, will infuse these Oolong teas up to seven times or more, depending on the respective type. Loose leaves Oolong tea, harvested and produced from the camellia sinensis assamicatea species local to North Thailand. In the mountain region of Doi Mae Salong, where this tea, in north Thailand also growing wild in the form of trees, is cultivated by the local Yunnan-origin population in tea gardens, the plant finds optimal conditions at heights between 1200 and 1600 meters and a climate characterized by a 3 seasons, a rainy period, a hot and dry period and a cold period, each of them lasting about 4 months a year. A daily standard in many Northern Thai mountain households, and a budget alternative for every demanding Western tea drinker. The large-leaved tea, grown at altitudes between 1000 and 1400 meters and with a seasonal change between a rainy season, a hot and dry and a cold period in a 4-months cadence, unites a full and round, bold-flavored aroma, already revealing in both the dry leave’s and the infusion’s scent, with the bloomy and earthy note characteristic for Northern Thai Oolong teas. The liquor shows a clear golden brown color. 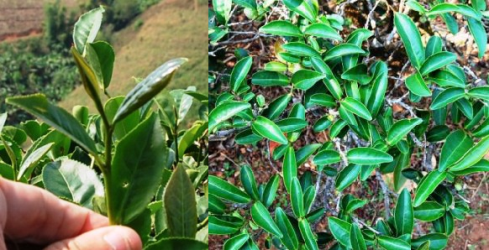 In the nomenclature of this tea, DMS means the cultivation region Doi Mae Salong, while Bai Yai (Thai = “large leaf”) is the designation that has established among local tea producers for the assamica tea tree. DMS Bai Yai Oolong Tea, fermented beyond a medium degree of fermentation, will be best infused with a dosage of 3-5 grams of tea leaves on 300ml of water at a temperature around 85°C and with an infusion period of 2 – 3 minutes. Always good for sated 2 infusions, while a third infusion definitely still has a good potential for excitement. A queen amongst the Oolong teas of Northern Thailand, the No.17 hybrid genuinely originates from the Taiwanese Alishan Highlands, from where the tea plant was imported to North Thailand in 1994. In the nomenclature of this Oolong tea, No.17 stands for the tea plant hybrid also called Ruan Zhi, Jade for the color of the liquor of this lightly fermented tea and its precious character, and Pearls for the rolled form, in which this tea is usually made available. The beautiful, carefully handpicked, rolled leaf will, infused in hot water, open to its full size within half a minute and give a clear jade-green to bright yellow cup, mild, yet rich in aroma, with a velvet-fruity touch of sweetness and a charming flowery note. DMS Oolong No.17 Ruan Zhiu Jade Pearls unfold the depht and diversity of their rich spectrum of fine, subtle taste nuances best at a water temperature around 80°C and a recommended infusion period of about 3 minutes, though this tea will hardly develop any unpleasant bitterness even with somewhat longer infusion periods. The tea maintains its taste for well 3-4 infusions, each of which will exhibit its very own character. 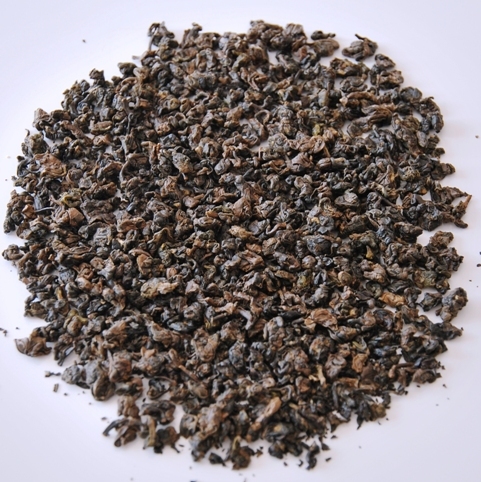 The Ruan Zhi Oolong No. 17 variety, along with the Jin Xuan Nr. 12 cultivar, dominates the tea cultivation in Thailand. The centers of cultivation are the region around Doi Mae Salong, a town established by Chinese settlers (KMT) in the 1950s, the Doi Tung, where tea is cultivated guided by the principles of organic cultivation under the umbrella and initiative of the Royal Development Project, and another Chinese settlement in the northern Thai mountains, Doi Wawee. Following our metaphor of calling No. 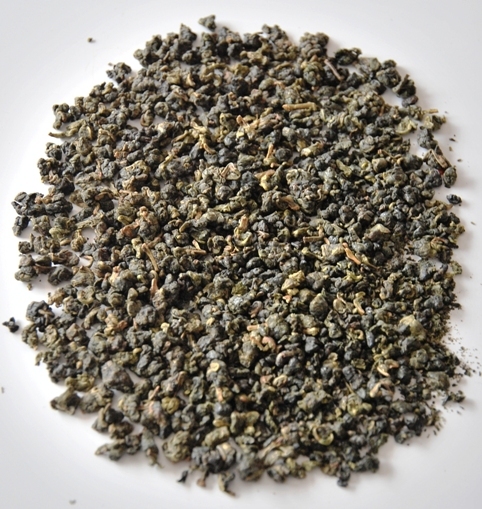 17 the Queen of the Northern Thai Oolong teas, the Oolong No. 12 might just as well deserve the throne of the king. In fact, we can attribute some features, such as muscle power and straightforwardness, to the Oolong No. 12 that would usually rather be considered as male characteristics. 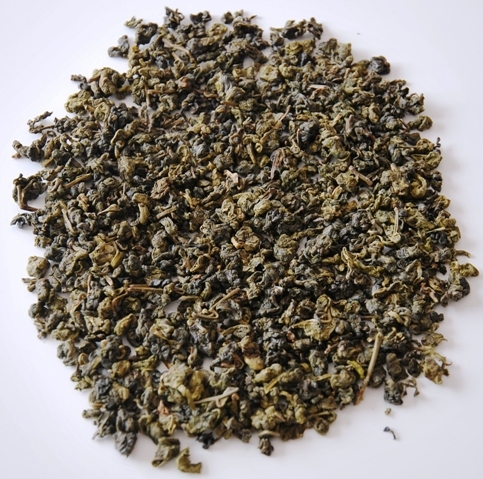 The pleasant grassy-herbal aromatic scent of this Oolong tea with a medium degree of fermentation initially only hints at the sated, expressive, dry and earthy taste. A decent creamy-nutty note, gaining moment with longer infusion periods, additionally imparts the depth that is characteristic for Oolong teas. The beautiful, carefully handpicked, rolled leaf, which will open up to its full size after half a minute in the hot water, gives a clear, bright yellow color in the infusion, spontaneously arousing the association of gold and sunlight with the observer. In the nomenclature of this tea No. 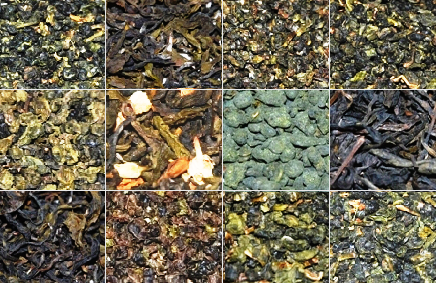 12 is the genuine hybrid designation also named Jin Xuan, Blue means ‘Blue Tea’ (Oolong tea) and Pearls means the rolled form the Oolong No.12 leaves are traded in. 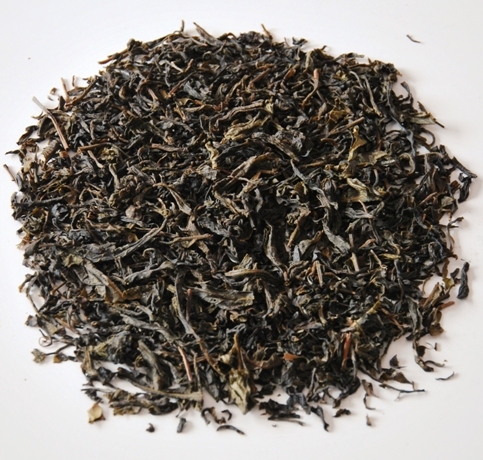 DMS Oolong Nr. 12 Jin Xuan Blue Pearls unfold their bold, rich aroma best at an infusion temperature of 80°C and an infusion period of about 3 minutes, and maintain it for well 3-4 infusions. Harvested from a special, relatively “modern” tea plant species that was developed in the 1980 in Taiwan’s Alishan mountain region and imported in North Thailand first in 1994, the Four Seasons hybrid is particularly characterized by two features: 1. The Four Seasons plant owes its name to the fact that produces virtually four “spring” harvests in a year, where other tea plants after the spring harvest, which is usually considered as the year’s best harvest, will show a gradual decline in quality. 2. The Four-Seasons plant is relatively altitude-indifferent, i.e. other than most tea plant species it produces the same high quality tea leaves in lower altitudes as it does in higher ones. In the nomenclature of this tea, Si Ji Chun are the Chinese words for Four Seasons. Tastewise, this only very lightly fermented tea with a fermentation degree of 10% or below offers the best of two worlds: the fresh and tart taste of a beautiful Green Tea combined with typical earthy and nutty Oolong note. Intensive, rich scent in the first infusion, already telling quite a good bit of the taste experience to expect. DMS Si Ji Chun Four Seasons Oolong Tea, a relatively low-cost alternativ in the top quality segment for tea lovers with highest demands, shows a wonderful light green and yellow color in the infusion. It should be infused at a water temperature of no more than 75°C, since it will release its bitters rather quickly with higher infusion temperatures. We recommend an infusion period of 2-3 minutes and at least 4 infusions to get to enjoy the full benefits of this tea. Though Dong Ding tea in the old times used to be identified with a particular Oolong tea cultivar that had once been brought from China to Taiwan’s Dong Ding mountain region, quite a number of different Oolong tea varieties are cultivated there today and mostly processed to Oolong teas of varying degree of oxidation/fermentation. Meanwhile, it has become common pratice in Taiwan to call of these teas “Dong Ding Tea”, unless they are considered as Highland Oolong teas or Oriental Beauty Oolong teas. Likewise, also our Dong Ding Blue Pearls is actually based on the No. 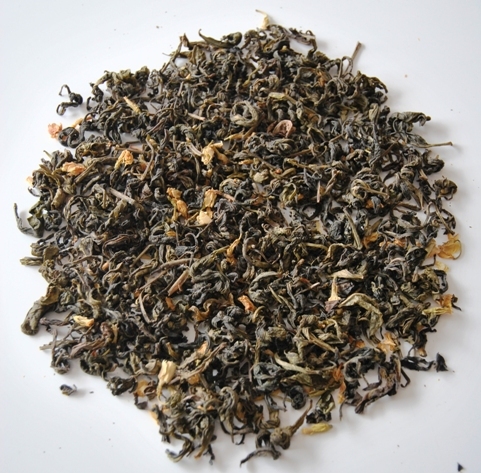 17 cultivar, however, it undergoes a processing that deviates from that of our Ruan Zhi Oolong No. 17 and is rather characteristic for the Dong Ding region. Hence, the term “Dong Ding” here only refers to the corresponding method of processing. Apart from a higher degree of oxidation/fermentation and the freshly harvested tea leaves running through several more cycles of baking and churning, there are quite obviousd taste parallels between our DMS Dong Ding Oolong Tea and our Ruan Zhi No. 17. Still, DMS Dong Ding Oolong Tea maintains a very individual character of its own: the dominant mineral taste of this about medium range fermented Oolong tea with its touch of mild sweetness and mild floral hint spontaneously evokes strong associations with Chinese Wuyi rock Oolong teas, in particular Da Hong Pao Oolong tea. 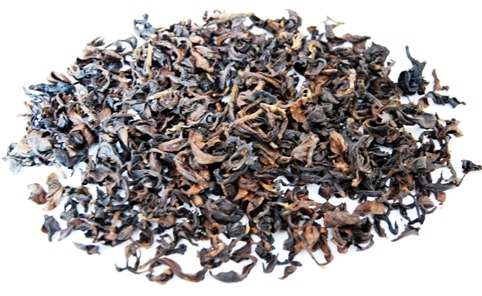 This taste, developing over up to 10 full infusions, and as intensive and long lingering as only a Da Hong Pao Oolong from within the highest grade and price level, makes our – comparably very affordable – Dong Ding Oolong tea a perfect tea experience and one of our highest in demand Thai Oolong teas. In the nomenclature of this tea, DMS means the cultivation region Doi Mae Salong, Dong Ding hints at the processing method, Blue stands for Oolong tea, and Pearls is due to the rolled form given to the tea leaves in the processing. The beautiful, carefully handpicked, rolled leaf that opens up fully within half a minute in the hot water, gives a clear caramel and golden yellow color in the infusion. DMS Dong Ding Blue Pearls achieve the best taste results with 3-5 grams of tea pearls on 300ml water at a temperature of 80-85°C, and an infusion period of 1 – 3 minutes. A second infusion shows no, a third one only little aromatic loss. However, tea masters, who in the context of a Gong Fu Cha (tea ceremony), the classic ritual Chinese way of tea preparation operate with very short infusion periods in order to expose every single aromatic nuance of a tea, will infuse this tea quite a few times more. This special tea, also referred to as the “champaign” amongst the Oolong teas, is only harvested once a year (here: in April). 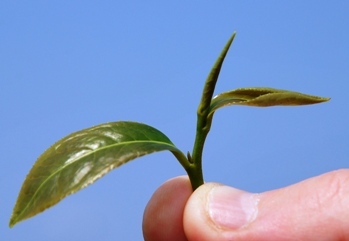 The top leave (the “tip”) is then covered with tiny white hair, which has gotten the tea the designation “Silver Needle” or “White Silver Needle”. The cultivar was brought from Taiwan to north Thailand only about the middle of the 1990s. 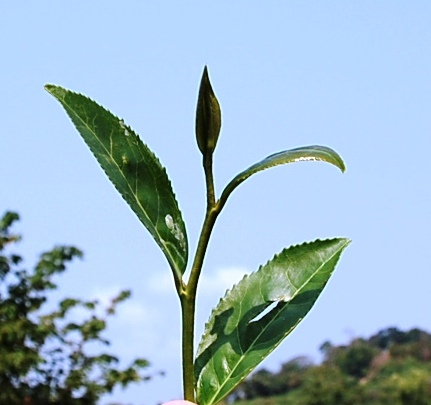 Besides the mentioned “silver tip”, another specific factor is responsible for the special taste of the Cha Nang Ngam Cing Xin Beauty Oolong tea, which is also characteristic for Taiwanese Oriental Beauty (Dong Fang Mei Ren): the leaves are bitten by a leafhopper species, whose proboscis leaves behind a secretion in the tea leaf, which mixes and reacts with the tea leafe juice remaining there. 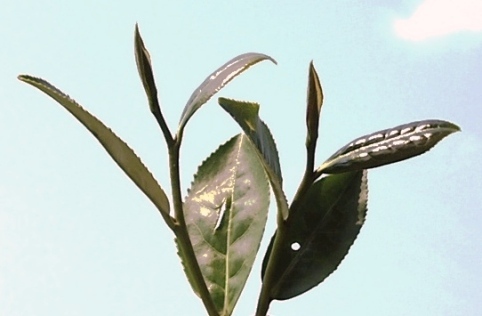 The insect’s interaction produces a small brown stain on the tea leaf. However, other than the most Taiwanese Bai Hao / Oriental Beauty teas, our Cha Nang Ngam Cing Xin Beauty Oolong in north Thailand is processed with a rather light degree of fermentation, thus still fitting the “Pouchong” Oolong tea category. In the nomenclature, DMS means the cultivation region Doi Mae Salong, ‘Cha Nang Ngam’ is Thai language for ‘beautiful female’, whith ‘beautiful’ in terms of diligent, demure, gracious, Cing Xin is the Chinese name of this old Taiwanese Oolong tea cultivar, while ‘Beauty’ is a shortening of the later common designation Oriental Beauty. Our north Thailand version of Bai Hao / Oriental Beauty / Cing Xin Oolong Tea, enjoying a precious reputation in the tea cultures of both China and Taiwan,is vibrantly bright to sated yellow in the cup and reveals a pronounced floral note, though virtually without any of the bitter component that is often typical for such floral aromas. While the scent fo the dry tea leave only slightly hints at the tea’s taste, the infusion’s fragrance already promises a lot of the then unfolding diversity of a spring meadow. For the best taste result, we recommend a dosage of 3gr – 5 grams of the Beauty Oolong tea on 300ml of water at an infusion temperature around 85°C and an infusion period of 1 – 3 minutes. The aromatic spectrum is maintained lossless for at least 4 to 5 infusions, evenmore with Chinese-style short infusions. A guaranteed success also with every tea degustation or tea ceremony! Green teas are unfermented teas of the “Camellia Sinensis” species. A brief heating, roasting or steaming after the withering of the freshly picked leaves, prevents the fermentation process. This way, almost all active substances contained in the fresh leave remain preserved. The leaves are then traded and consumed either as loose leaves or curled / rolled into little granules. 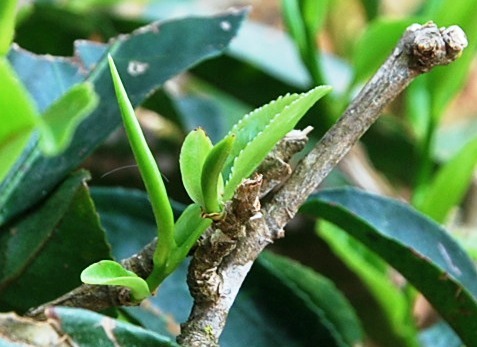 The plant has flat green leaves of jade-green color and aromatic fragrance, the tea is clear and bright green in the infusion. The stimulating effect of green tea is to attribute mainly to its caffeine content. The regular consumption of green tea can help prevent cancer and cardiovascular disease, reduces the risk of caries calms the stomach and intestine. The health benefits of green tea are due to its high content of catechins, amino acids (especially theanine), the vitamins A, B and B2, and the trace elements calcium, potassium, phosphoric acid, magnesium, copper, zinc, nickel, carotene, and fluorine. The tradition of Green Tea originates from China. Like the Oolong tea, Green tea from there spread to other South Asian countries, especially Japan, Taiwan, Korea (Guangdong), and more recently Thailand. 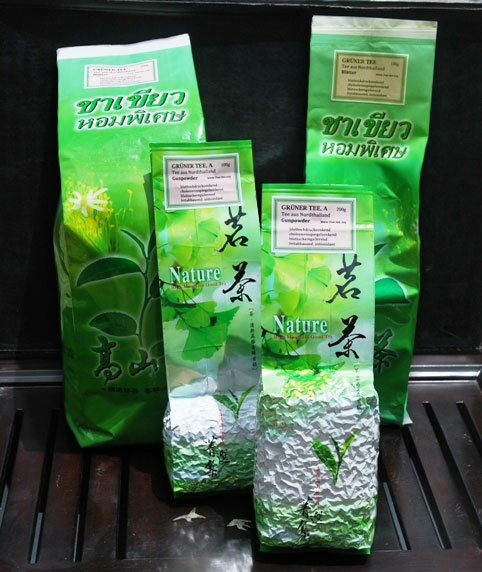 North Thailand produces green teas both from tea species local to the area since hundreds of years or more and from tea plants imported in the nineties for cultivation in North Thailand from Taiwan, which is famous for its Formosa Oolong and green teas. 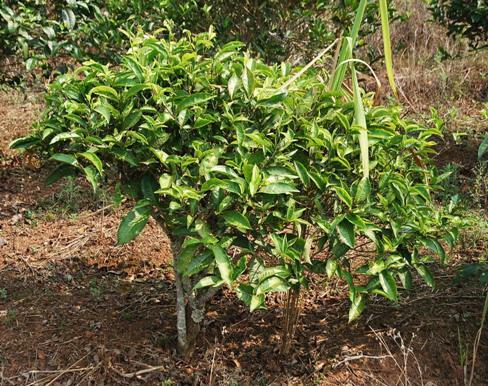 Loose green leaves tea from the camellia sinensis assamicatea species local to North Thailand. In the mountain region of Doi Mae Salong, where this tea, in north Thailand also growing wild in the form of trees, is cultivated by the local Yunnan-origin population in tea gardens, the plant finds optimal conditions at heights between 1200 and 1600 meters and a climate characterized by a 3 seasons, a rainy period, a hot and dry period and a cold period, each of them lasting about 4 months a year. In the nomenclature of this tea DMS means the region of cultivation, Doi Mae Salong, while Bai Yai (Thai = “large leaf”) is the designation that has established among local tea producers for the assamica tea tree. The large open leave produces a clear and bright yellow-green infusion. None to only moderate bittering (dependent oninfusion period) with appropriate temperature of the used water (see below). In the processing, to obtain Green Tea, unlike the partly fermented Oolong Teas or in case of the completely fermented Black Tea, the fermentation process of the tea leaves is stopped through heating right after a brief withering period. 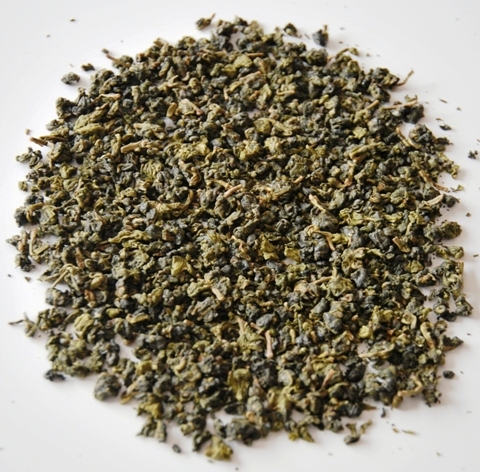 Apart from the characteristic taste and aroma of Green Teas, this procedure ensures that nearly all active substances contained in the fresh tea leave remain preserved. DMS Bai Yai Green Tea, leaves, combines the classical taste of traditional Chinese Green Tea with the well-known health benefits of the same.Best taste results are achieved with 3-5 grams of tea leaves infused with 300ml of ca.75°C hot water for an infusion period of 1 – 3 minutes. The tea will maintain taste and aroma for 2-3 infusions, depending on the duration of the individual infusion periods. Cultivated and processed in Doi Mae Salong, North Thailand, from tea plants of the Cing Xin tea cultivar, which were imported from Taiwan during the 1990s for cultivation in the highlands of Northern Thailand, where they find optimal geological and climate conditions that are similar to their home region, at altitudes between 1200 and 1600 meters and a seasonal change between a rainy, a hot, and a cold period in a 4-month rhythm. While the April harvest of the cultivar, due to the white hair on its tip (youngest top leave of a branch) also referred to as “Bai Hao” or “Silver Needle”, is reserved for the production of our DMS Cha Nang Ngam Cing Xin Oriental Beauty Oolong. In the nomenclature of this tea, Doi Mae Salong stands for the cultivation region, Cing Xin for the Taiwanese tea plant cultivar this tea is yielded from, Green for Green Tea, and Pearls for the rolled form of this tea. The carefully handpicked, rolled leaf opens up to its full size within half a minute in hot water and gives a clear, radiant bright yellow-green cup. The tea liquor bitters only slightly with appropriately tempered water (see below). With green tea, other than with partly fermented and/or fully fermented black tea, the fermentation process is stopped through heating of the tea leaves right after a short period of withering. 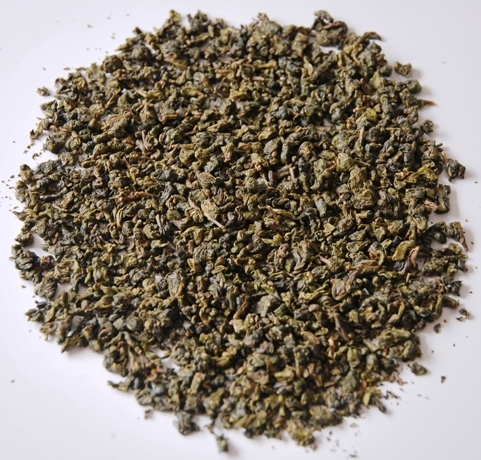 Apart from the charcteristical taste of green tea, this method ensures that nearly all active substances contained in the fresh tea leave are preserved. 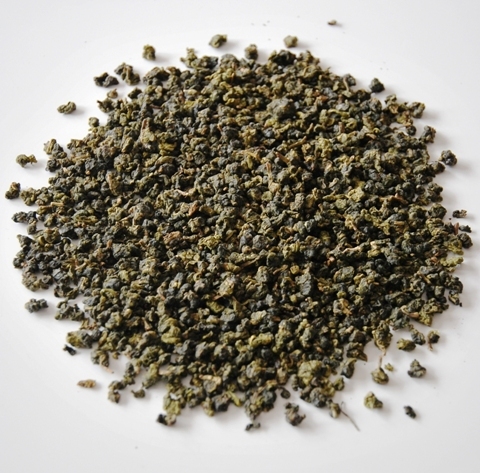 DMS Cing Xin Green Pearls green tea combines the classical taste of traditional Chinese Green Tea in its purest form with the known health benefits of the same: high blood pressure, cholesterine and blood sugar regulation. The best taste results are achieved with 3-5 grams of Doi Mae Salong Green Pearls, rolled, on 300ml of 75°C – 80°C hot water, and left to infuse for 2 – 4 minutes. The tea maintains its taste and aroma (in altering nuances) for about 3-4 infusions, depending on the duration of the individual infusion periods. Though North Thailand as a tea cultivation region initially became popular for its Oolong teas, growers in 2011 for the first time produced black tea on the basis of the Jin Xuan No.12 tea plant that already in its first year conquered the hearts of every tea lover, who had a chance trying this highly aromatic Northern Thai tea novelty (quite some, actually, thanks to Siam Tea Shop). In the nomenclature of this tea, DMS means the cultivation region, Doi Mae Salong, Jin Xuan is the Taiwanese name of the underlying tea cultivar, Black stands for Black Tea, and Pearls for the rolled form of this variant. The carefully handpicked, processed according to old tradition, and in both rolled and loose leaf form available ‘Chaa Deng’ (= Red Tea), as the black tea is called by its ethnich Chinese producers in North Thailand, shows a clear red-brown color in the cup, and the freshly infused tea’s fragrance courts our olfactory sensees with cocoa, nutty and bloomy notes and already anticipates the mild and still substantial aromatic taste of this tea, which is often compared to a Ti Guan Yin. DMS Jin Xuan Pearls achieve the best taste result at an infusion temperature of 90°C – 100°C. We recommend an infusion period of well 3 minutes in order to fully assert the wide-facetted aromatic richness of this otherwise very mild tea, which suits very well for enjoyment in the evening, too. The result is teas that bear the distinctive smell and taste of their aroma donor, enjoying especially popularity with tea newcomers. Northern Thailand produces a range of naturally scented Oolong and Green teas, to which natural aroma donors such as jasmine, Thai jasmine rice, ginseng or osmanthus flowers are added by means of highly specific, complex and sensitive procedures respectively. Based on local green leaves tea, scented and flavored by adding freshly plucked jasmine flowers in the processing according the traditional Chinese method. This procedure must be done at early nightfall, when the jasmine flowers open up their aroma pores and release their scent and aroma best to be absorbed by the green tea leaves. 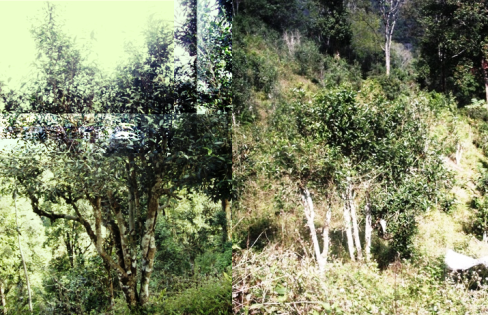 In the nomenclature, DMS means the cultivation area Doi Mae Salong, Santhikhiri indicates the local character of the tea species, and Xianpian is the Chinese name for jasmine. This tea unites the sweetness and bloomy notes of the jasmine flower in perfection with the leaves green tea aroma. It should be infused with 70-75°C hot water for around 3 minutes. The tea will give 2 – 3 infusions, with the jasmine flower aroma gradually vanishing after the first infusion. This Northern Thai specialty, produced on tha basis of a green tea harvested from a tea plant species that has been local to the area for centuries, and flavored with Thai jasmine rice and a special local wild growth herb, giving the tea an intensive rice aroma, is unique to this region indeed. Expressively, this is not a genmaicha, as some might expect, and nothing similar to that either. In the nomenclature of this tea, ‘Cha Khao Hoom’ is the Thai language phrase for Rice Tea. The aromadonor herb and the rice are carefully removed from the tea leaves after the flavoring/scenting process, which is done under heat feed of the mix and without the use of any artificial aroma agents. In a final processing step, the remaining, now intensely scented tea leaves are rolled to their characteristic granule form. Unique and multi-facetted delicious aromatic mix of fresh green tea and tangy rice flavors, both maintaining an undiminished presence over two to three infusions. The scent of the dry granules as well as the tea liquor, which shows a clear sated yellow to golden brown color, conveys a distinct idea of the taste of this regional delicacy that otherwise might only be found in Burma’s Shan areas. For the best possible taste result, DMS Chaa Khao Hoom should be infused for about 3 minutes or little less with 70°C – 75° hot water. High grade handpicked green tea, harvested from a fine tea species imported from Taiwan’s Alishan mountain region in the midst 1990s, refined in heated condition with freshly plucked Osmanthus flowers. The natural aroma donor, after releasing its decent fragrance and taste notes, is carefully removed again from the traditionally handpicked tea leaves. In the nomenclature, Gui Hua is the Chinese words for Osmanthus flower, and Pearls means the rolled form this tea is typically traded in. The vibrant bright green infusion combines the characteristic taste of high quality green tea with the fine-bloomy Osmanthus note, a pleasant, never dominating complement to the fresh green tea aroma. The tea, whose aerial-light, bloomy fragrance already tells a lot about the gentle taste, in natural perfection unites round softness with soothing unobtrusiveness and luxurious richness of subtle facettes. DMS Gui Hua Green Osmanthus Pearls achieve the best taste result infused at a water temperature of 70°C – 75°C and an infusion period of 3 minutes or little less. A second and third infusion show virtually no aromatic loss. In European folk medicine, safflower flowers are known as a treatment of menstrual and climacteric conditions, indigestion, jaundice and measles, wounds, inflammation and joint pain. Although safflower tea is generally regarded as a “soft medicine” without undesirable side effects, and for example administered in Russia to babies for flatulence, the consumption is not recommended during pregnancy. Pu’erh is available in form of loose tea leaves or in compressed form (for example: bricks). Principally , two different kinds of Pu’er tea can be distincted: “raw” Pu’er Tea (sheng) and “ripened” Pu’er tea. Processing: The base material of all Pu’er tea variations is the so-called Maocha, a non-oxidized green tea that is obtained form a large-leaved Camellia Sinsensis species as can be found in southern Yunnan, Burma and northern Thailand. 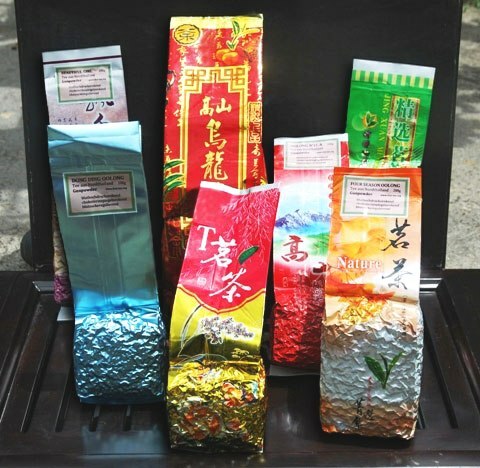 The “raw” (sheng) type of Maocha goes through a natural fermentation process due to environmental influences, while for the “ripened” (shou) type this process is accelerated by means of a specific processing method that was only introduced in the early 1970s. 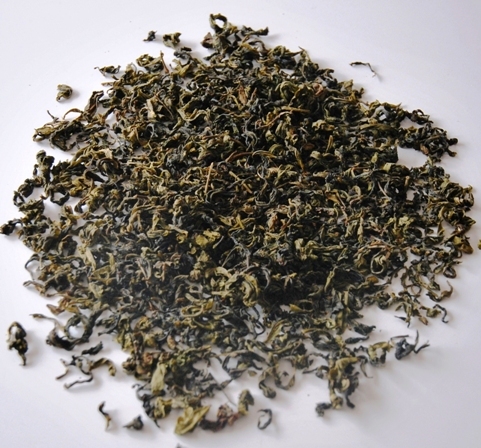 Maocha: The freshly picked tea leaves are first spread out to wither and dry in the sun. Then they roasted, traditionally in are in a large Chinese wok in order to stop the enzymatic fermentation process. The roasted tea leaves are finally rolled into streaks, which are once again dried in the sun. 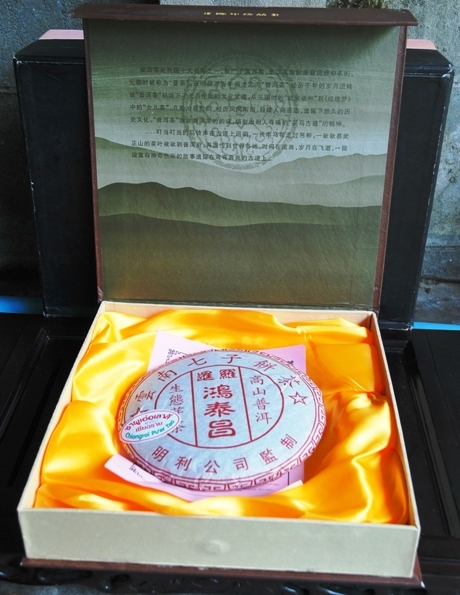 Raw Pu’er Tea: The Maocha is subjected to a secondary oxidation and fermentation process, which may require several years, until the desired result is achieved. 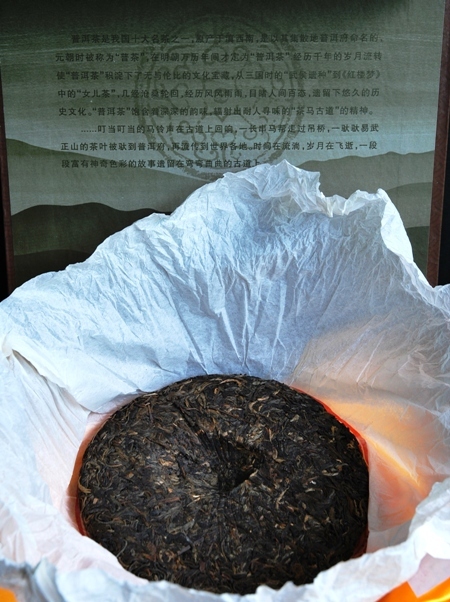 Ripened Pu’er tea: The fermentation process is accelerated by storing the tea leaves under controlled warm/humid conditions, while under constant re-piling, turning around and moistening, thereby promoting the formation and activity of microorganisms (bacteria, fungi), pretty much the same way as with the composting of biodegradable materials. This process usually takes between 6 months and one year. 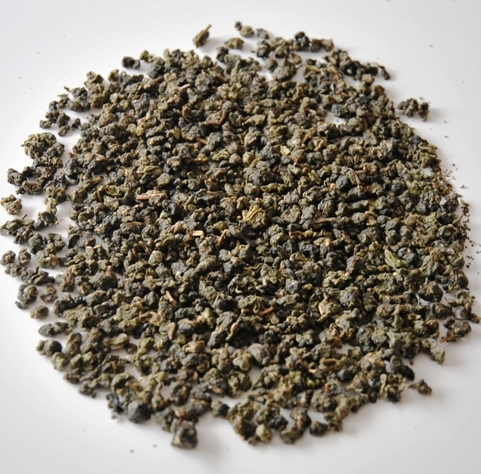 Pressing: The dried Maocha is portioned and the weighed portions lightly steamed in order to achieve a more cohesive consistency. In the old times, the resulting units were then pressed with a hand press, in ancient times a stone press, until the lever press prevailed soon after being introduced, and now increasingly with hydraulic presses, in various forms such as cakes or bricks, as is the case with our Pu ‘Er Tea from Doi Wawee. Often when pressing a motive is coined in, which can include the manufacturer’s logo and / or the date of pressing or the ripening period. 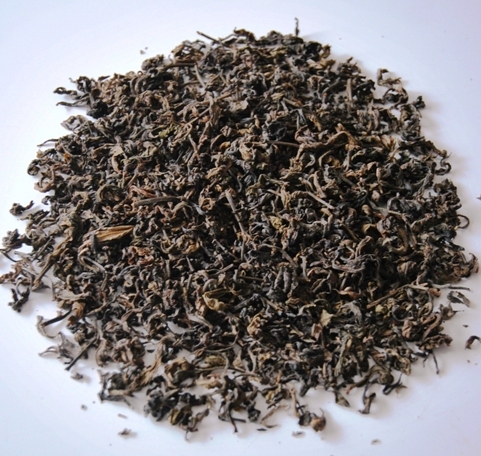 Doi Wawee, northern Thailand, produced, as well as for producers in Yunnan is now typical, both forms of Pu’er teas, raw and mature Pu’er, the raw Pu’er is subjected to a natural maturation process manufacturer of 5 years . Post-fermented (Pu Errh style), charcoal fire-roasted tea from the large-leaved camellia sinensis assamica tea species that is local to the border area North Thailand/Burma and has been growing wild there in form of trees for hundreds of years. The tea looks back on a long tradition of use amongst the native hill tribes, Shan and North Thais. Individual taste with a dominating grassy and earthy note, coined by the Pu Errh style processing method and the charcoal fire roasting, orange-brown cup. 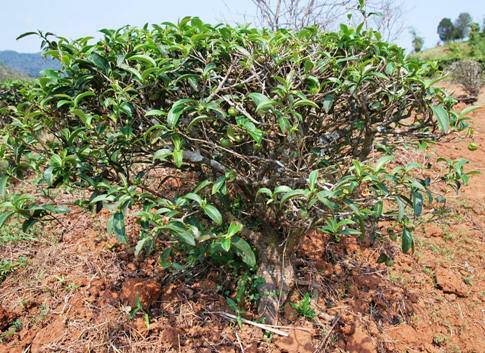 Due to its wild growth character, ShanTea is 100% organically grown. On top of supporting the producers by purchasing their tea product at fair prices, our Project ShanTea returns 20% of the turnover of all ShanTea sales directly to support aid projects for destitute refugees from Burma’s Shan State area.